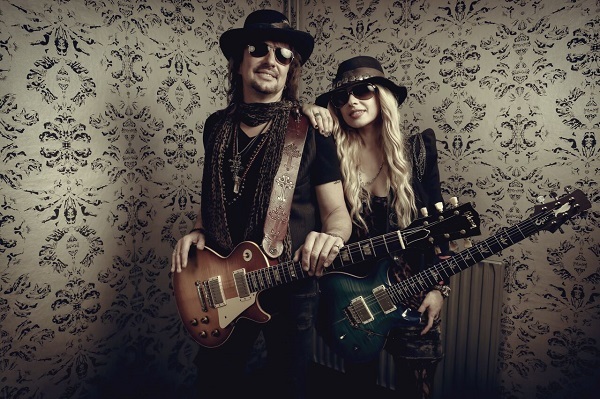 RSO are Richie Sambora and Orianthi, and while in Australia on tour we were very lucky to sit down with Richie and Ori for this extremely fun and insightful chat about the Australian tour, the upcoming RSO album, watermelon, the future, AND they pick up the guitars for a special treat, a little bit of the Bon Jovi classic ‘These Days’ and Orianthi’s ‘You Don’t Wanna Know’. Check out these two having a laugh and enjoying themselves! Check out our photo gallery of their Sydney show HERE and make sure you stop back and check out everything else going on in the world of rock and what the future holds for RSO!